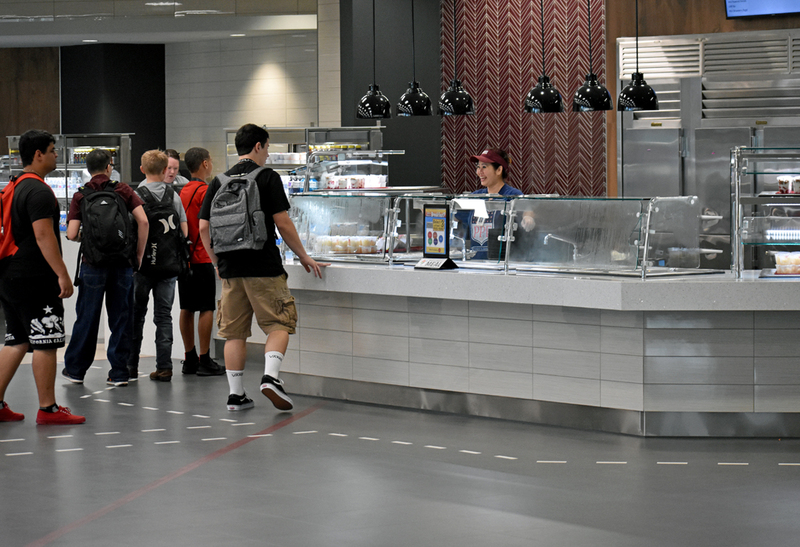 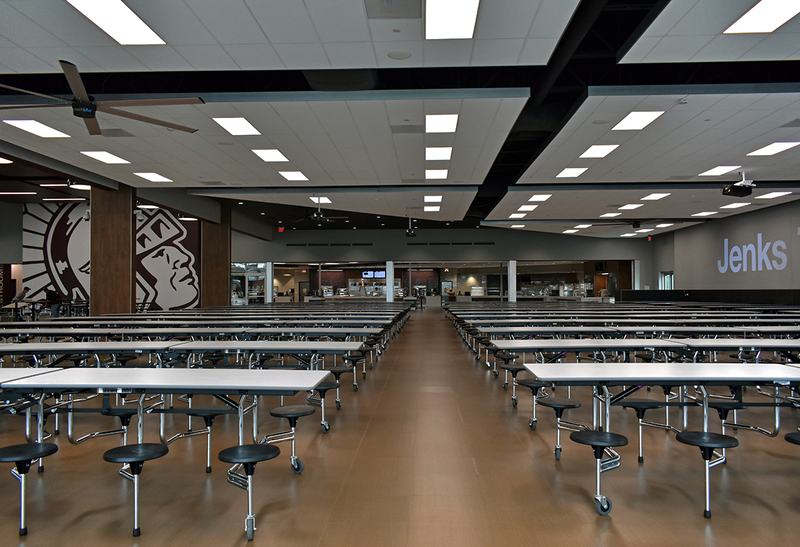 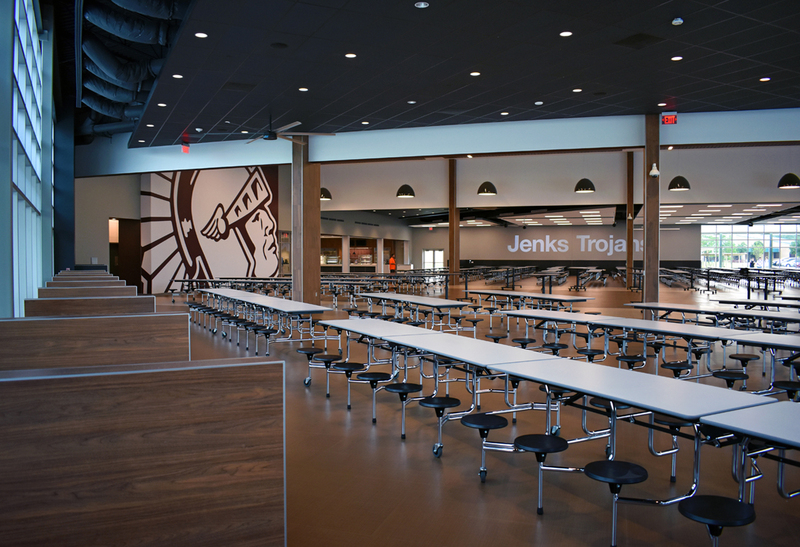 In keeping with high school design trends seen nationally, the idea emerged that this wouldn’t be just a cafeteria. 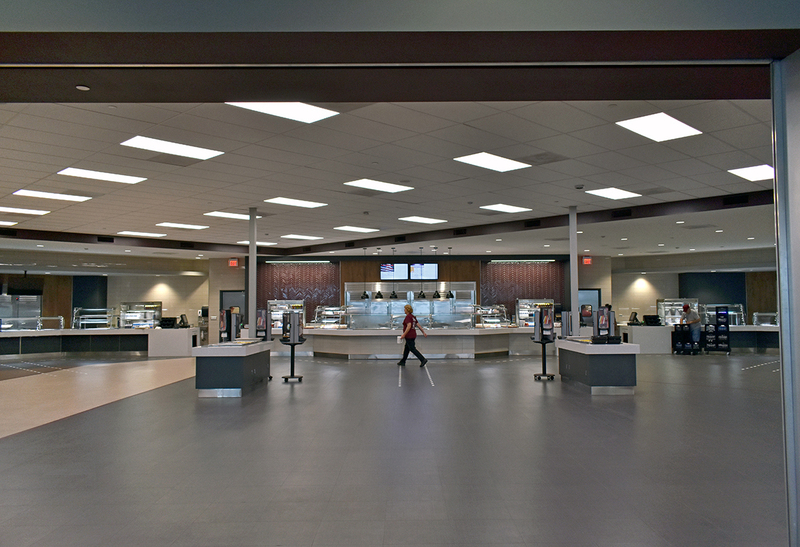 It would be a true dining hall, centrally located on campus to create a gathering spot for building community. 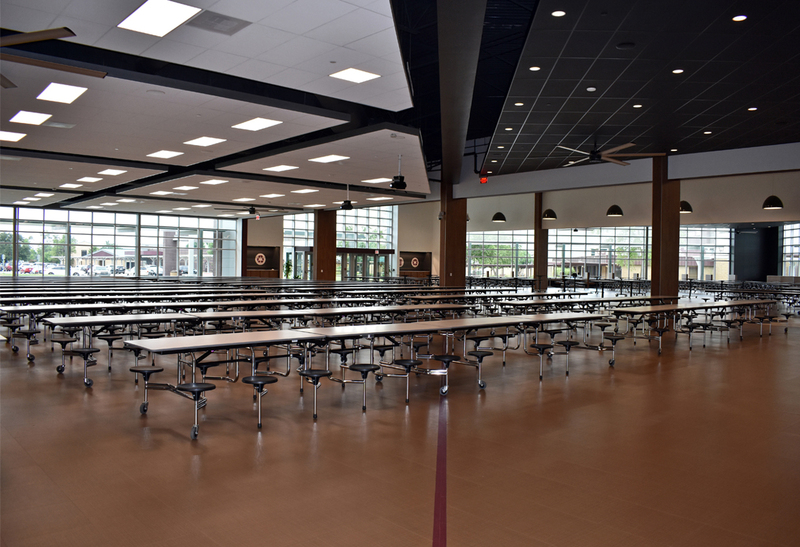 A variety of seating welcomes students in the grand dining room upon entry, with the servery located in the back of the open space. 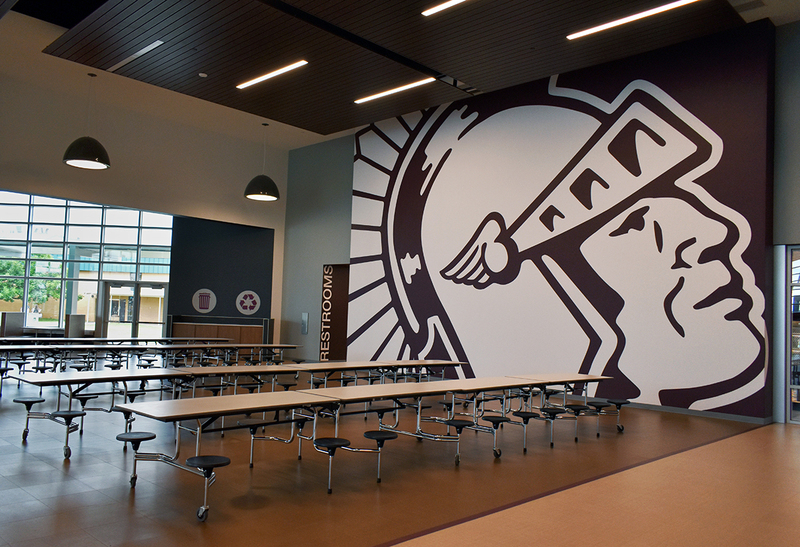 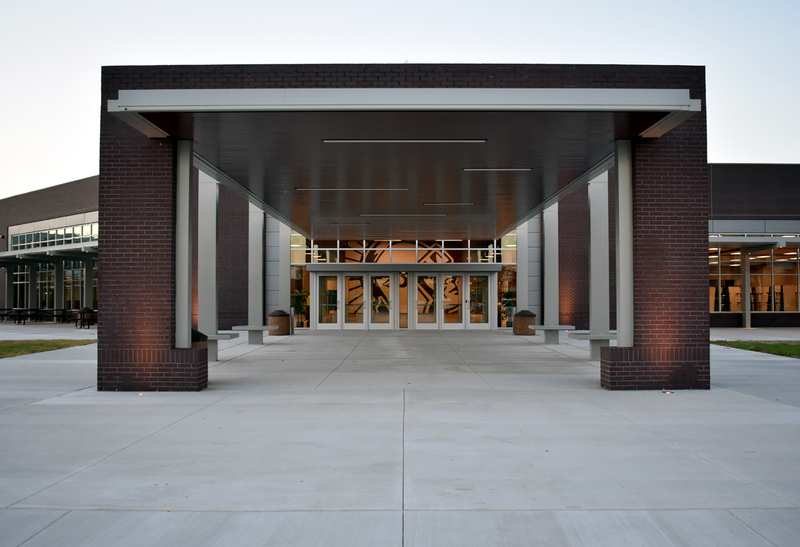 An oversized wall graphic of the school’s Trojan mascot head is on an axis with the entry and emphasizes the strong identity and school pride at Jenks. 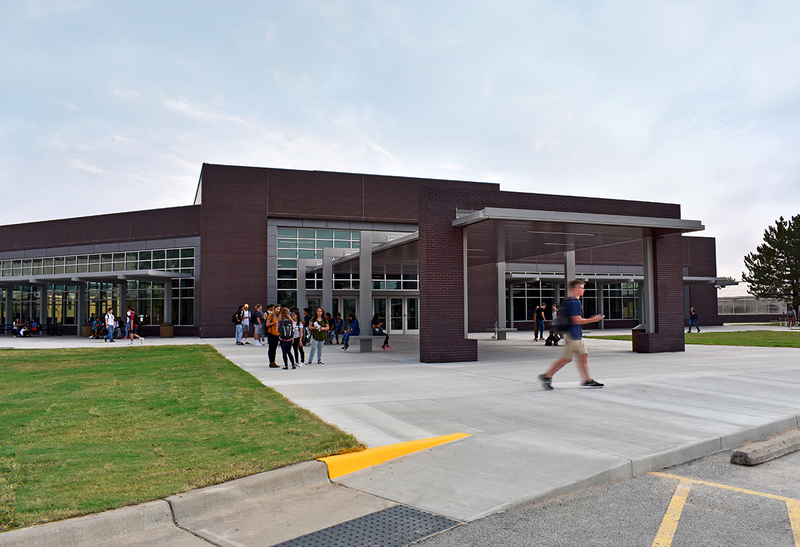 The building’s shape itself was likened to puzzle pieces that fit together—and the contemporary design language blends well with that of surrounding campus buildings, including exterior cantilevers which will serve as cover for outside dining area.